Such type of language does not behove the Congress leader, Modi said, addressing a poll rally here in Chhattisgarh. "I have a question. Why all the thieves have Modi in their names whether be it Nirav Modi, Lalit Modi and Narendra Modi? We don't know how many more such Modis will come out," Gandhi had said, attacking the PM over alleged corruption. "Is this the language to be used," Modi said, targeting Gandhi. Modi also accused the Congress of being "hand in glove with not only naxals but also with those who want to to break India". "Will you allow the Congress to compromise on national security," Modi said. 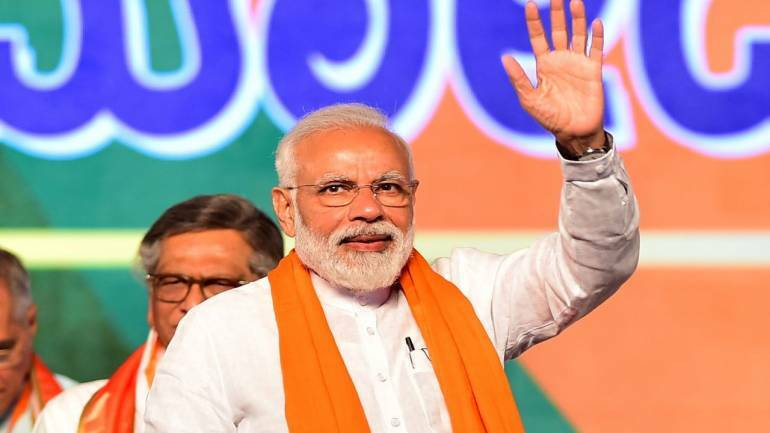 Congress party's poll promise to strip the army of special power has led to celebration among those forces who are engaged in spreading violence, Modi said. "Does the Congress 'hand' favour development or destruction," he said. The PM exuded confidence that there will be 'Modi Sarkar' once again after Lok Sabha poll results on May 23.